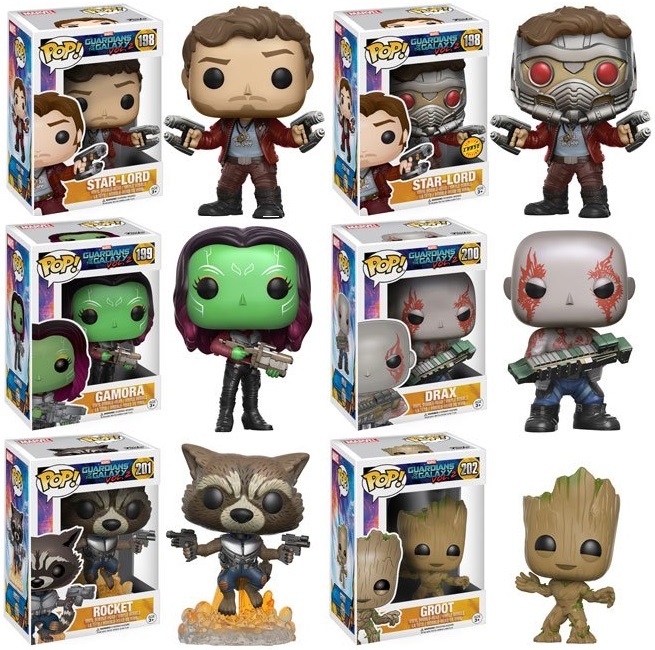 Later this year Marvel will be releasing Guardians of the Galaxy Vol 2 in theaters, and to commemorate the film’s release Funko will be producing this awesome line of Guardians of the Galaxy Vol 2 Pop! Vinyl Figures! Based on the upcoming live action film, the Guardians of the Galaxy Vol 2 Pop! 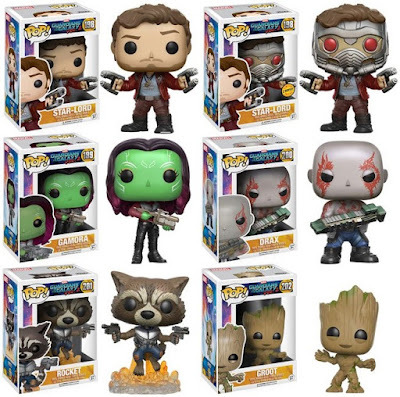 Series includes Star-Lord (with a 1 in 6 Masked chase variant), Gamora, Drax, Rocket Raccoon, Groot, Nebula, Mantis and Taserface. 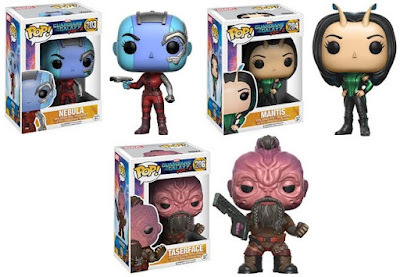 And just wait until you see all the retailer exclusives Funko will be releasing very soon. Each Guardians of the Galaxy Vol. 2 Pop! bobble head vinyl figure stand 3.75” tall, features one point of articulation and come packaged in a full color displayable window box. These Marvel figures can be pre-ordered now at Entertainment Earth for $10.99 each here.